“…..had a very shiny nose!”…..
Hello there, I hope you are all having a good week so far. Yesterday the children went back to school and I’m pleased to report that they both had a great day! I hope things continue in the same vein for the rest of the school year! 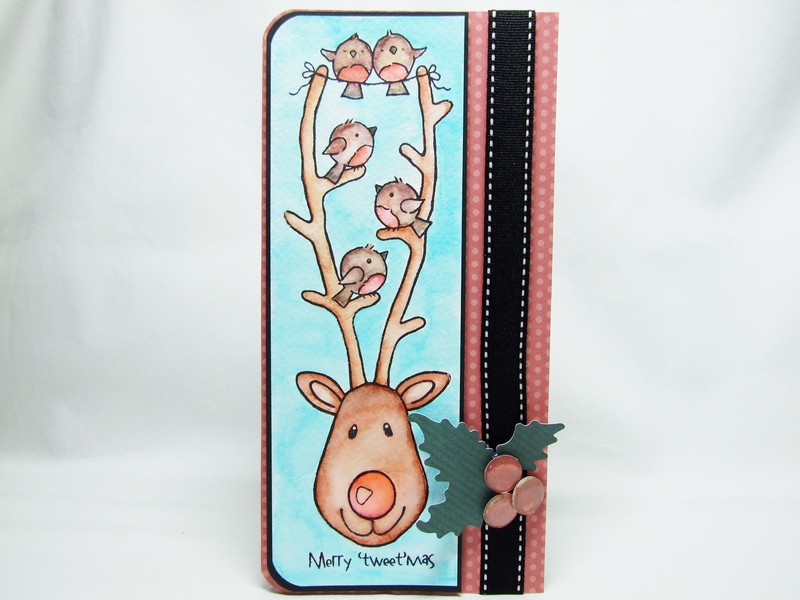 Today I’m sharing a card that I have made using a stamp from Woodware that I got last year called ‘Rudolph and Friends’. Here, I have watercoloured him with Spectrum Aqua Markers and used some Glossy Accents for his shiny nose!. I wasn’t very happy with the red though – looked too pink for me but it did seem to go with the background paper which is a muted red colour. I popped the holly on in that particular spot to cover up a tiny smudge of red ink – try as I might to blot it out it wasn’t going anywhere hence the cover-up! 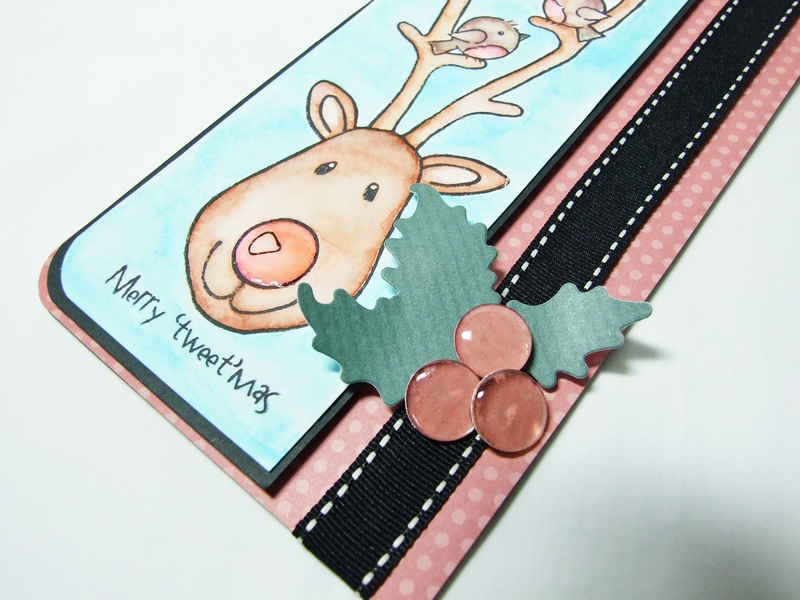 The holly die is from Waltzingmouse Stamps and the ‘berries’ were made with an Epiphany tool. 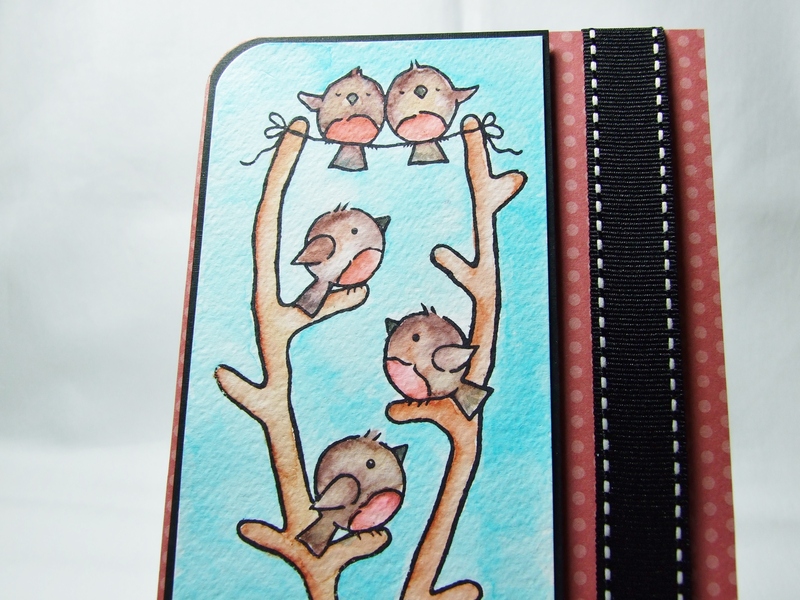 The patterned papers are from the Kraft Notes collection by Forever Friends. < Previous Basil the Bunny….. Precious! We all have cover ups on occasion and yours look like it was planned so I’d say you win:) how are you liking your aqua markers? Darling card! Love the image and your fabulous coloring! Ooooh, now this is a fabulous image isn’t it?! perfect for a tall card too. EEK!!! I think I need to have this image. Oh what a sweet reindeer, awesome long and tall card too!